In celebration of Banned Books Week and of our Freedom to Read, we had a Reading Brunch today. 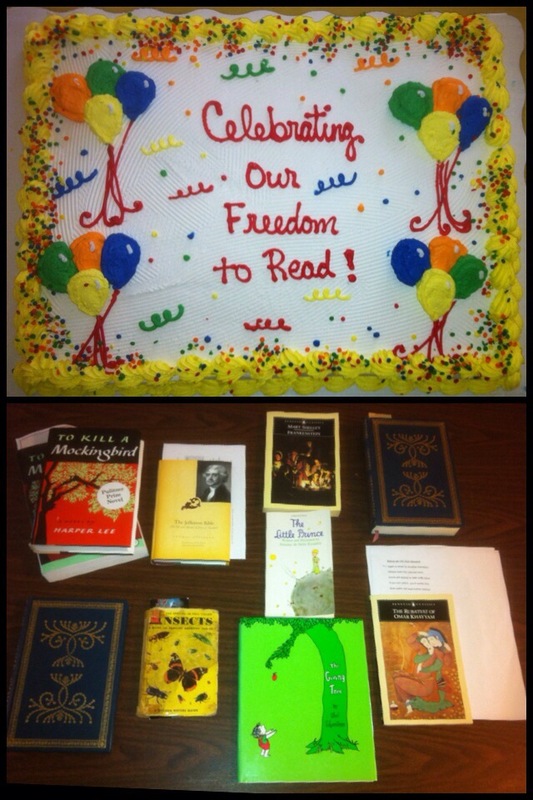 With a big beautiful cake and lots of good food, we read from our favorite books and had a great time. Thanks to everyone who brought food to eat and a book to share. ← The New Fellowship Sign Is Here!